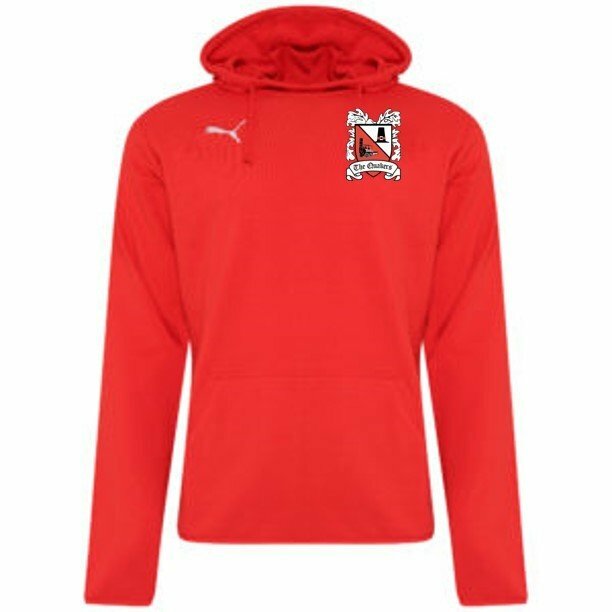 68% cotton / 32% polyester, french terry, dryCELL, regular fit red hoody. White PUMA Cat logo embroidered on the right chest. Front pocket with weld pocket entry.